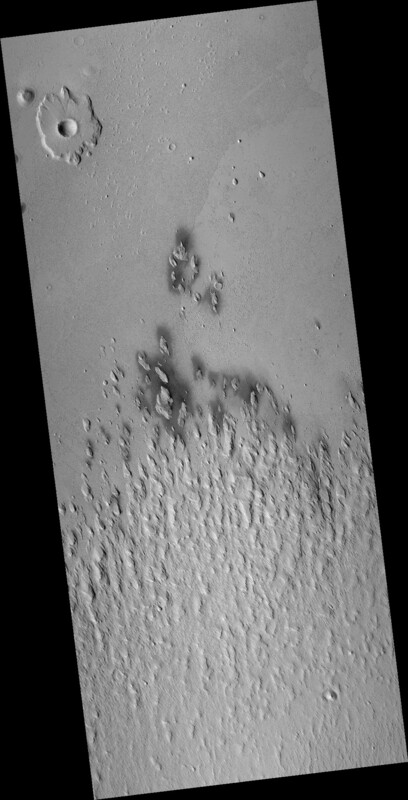 The prominent tear-shaped features in this image are erosional features called yardangs . Yardangs are composed of sand grains that have clumped together and have become more resistant to erosion than their surrounding materials. 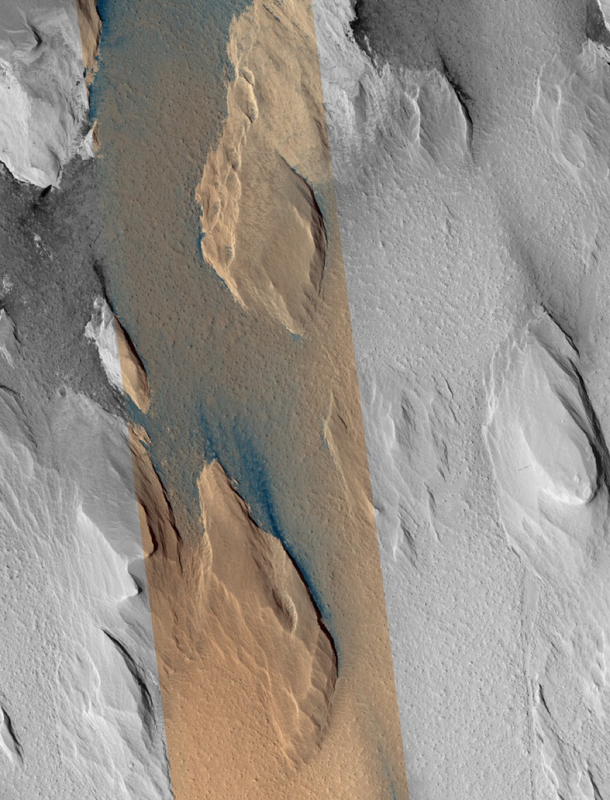 As the winds of Mars blow and erode away at the landscape, the more cohesive rock is left behind as a standing feature. 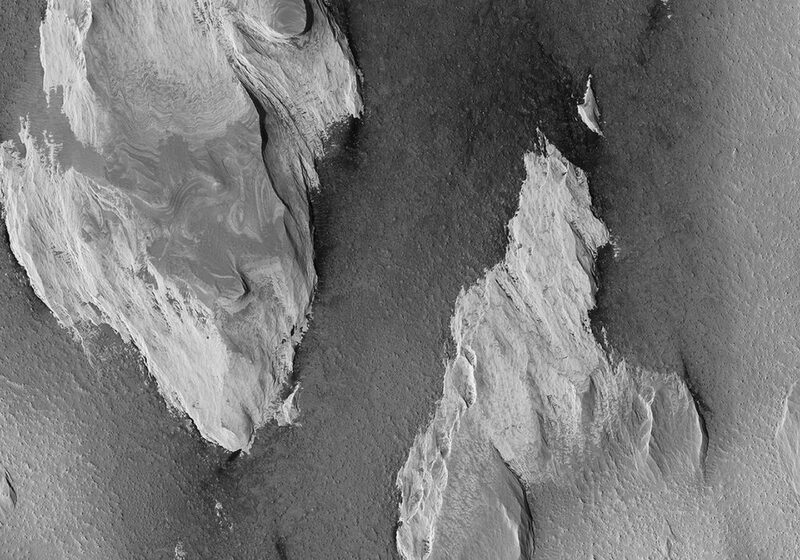 ( This Context Camera image shows several examples of yardangs that overlie the darker iron-rich material that makes up the lava plains in the southern portion of Elysium Planitia.) Resistant as they may be, the yardangs are not permanent, and will eventually be eroded away by the persistence of the Martian winds.